Lots of real estate investors ask if wholesaling houses is right for them and their business. The truth is, it’s not for everyone. Wholesaling houses has a lot of stigmas against it both within and outside of real estate investing communities. 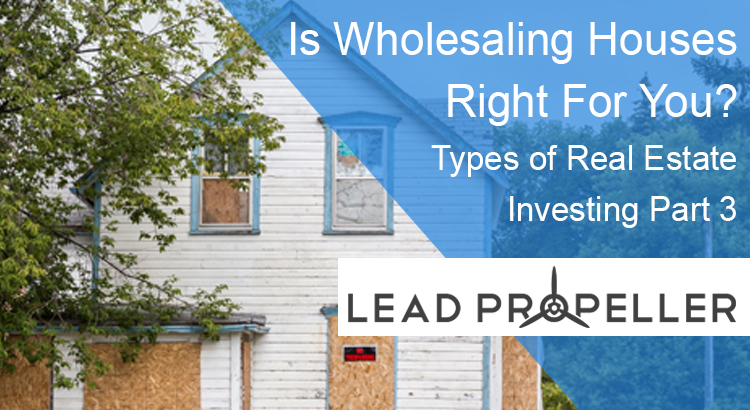 We’re going to break down what wholesaling is, what the popular wholesaling strategies are, as well as the pros and cons of wholesaling houses so that you can determine if it’s the right type of real estate investing for your business. If you haven’t already done research on the other types of real estate investing, check out part 1 and 2 of this series. We go over the strategies and pros and cons of house flipping in part 1, and the pros and cons of renting in part 2. Find the best type of real estate investing for your business! Ok, now that we’ve suggested our other articles (seriously, you should check them out. They’re packed with great information), let’s get started talking about wholesaling houses and if it’s the right decision for your real estate investing business! Be competent at inspecting the property and coming up with a good list of repairs needed. You will need this whether you intent to keep the property or wholesale it. 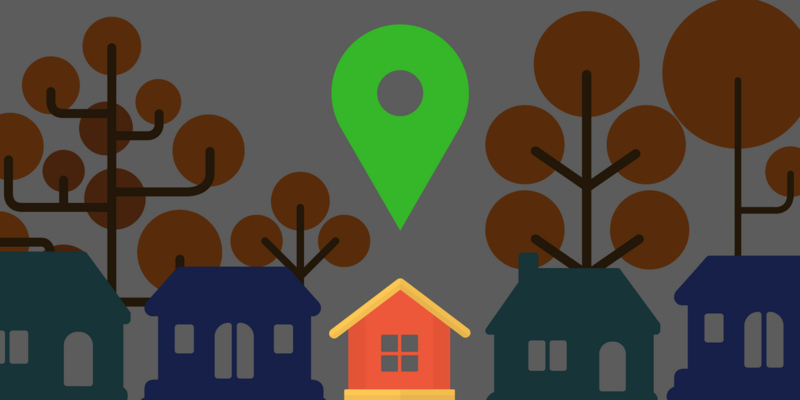 There’s a lot when it comes to wholesaling houses, but that doesn’t mean it’s any more or less difficult than other types of real estate investing. Let’s talk about the different strategies successful investors implement when they’re wholesaling houses. 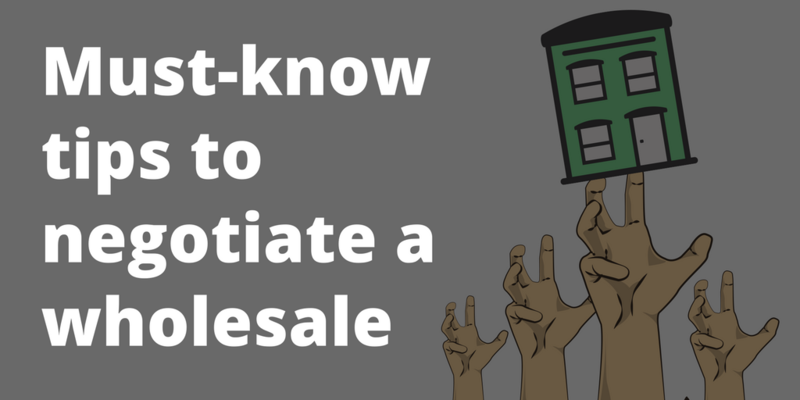 There are lots of things to look at and keep in mind when you’re wholesaling houses. 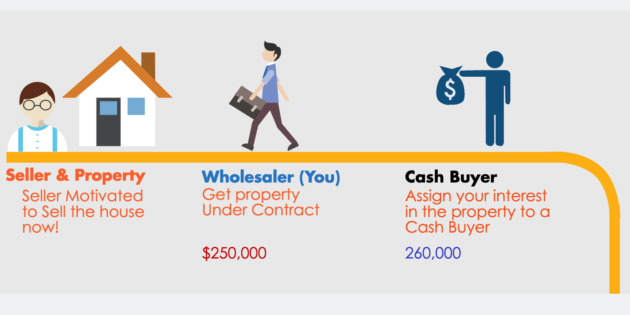 We’re going to go through each step so that you can get a better idea about what it takes to wholesale properties as an investor. This should go without saying, but before you can wholesale a property you have to actually have a property. Unfortunately, this is one of the more difficult parts of any kind of real estate investing, let alone wholesaling. That’s why marketing your business is so important. You can go the traditional routes and do offline marketing such as…. All of these marketing strategies are completely reasonable for finding good properties to wholesale. The problem is that they are very time consuming and have lots of competition. Think about it, if you’re in a busy market like Houston or Miami then you’re not the only real estate investor cold calling people with tax liens, or sending out postcards to target areas. That’s why you have to start thinking like your audience thinks. So put yourself in their shoes. If you had a house that desperately needed to be sold, where would you look for help first? “89% of home shoppers use the internet to search for a real estate agent” to help them sell their house (from Paveya.com). As a real estate investor, you don’t want people to use an agent to sell their home. You want them to find you. If 89% of home sellers are going online to find someone to help them sell their home, you need to be available online for them to sell their house directly to you. That’s where online marketing comes into play. At this point it’s safe to say that online marketing isn’t a trend: it’s here to stay. Which is why the very first thing you need to do to wholesale houses is have a website where sellers can find you and leave their information with you. You would think the next step would be to asses the property. Don’t go so quickly! You can’t assess a property to sell if you have no one to sell to. That’s why the most important part of wholesaling houses is having a reliable buyers list. First and foremost you want to buy cheap. There’s no sense in spending lots of money on a house that you’re trying to get turn a profit on. Our friends over at Flipping Junkie have a great article about how to decide what to do with an investment property. 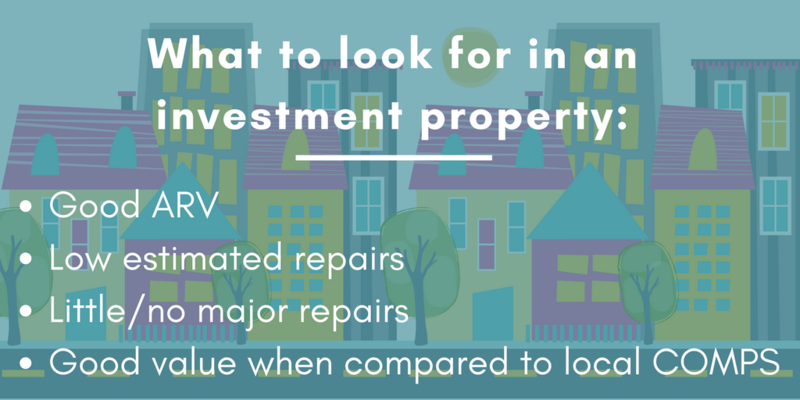 If you’re looking at a potential property to wholesale and it doesn’t have a good ARV (after repair value), or it needs too many major repairs, it’s probably not the right house to buy. Not only do you want to buy cheap, but you want to buy a house that another investor would want. Just like it doesn’t make sense for you to buy a house for too much money, you also don’t want to buy a house that no other investor would want. The good part about wholesaling houses for a while is that you start to know what the investors on your buyers list are looking for, making it easier for you to determine which house is a good wholesale property and which one isn’t. Alright, so you have a property that’s a great price, it’s looking good for investors, and you have a buyer lined up. Awesome! Now you have to negotiate the sale. “Say [the sellers] ow $50,000 on the property, and they need $5,000 to move and pay deposits for their new place…you offer them $55,000, and they accept. The house is worth $100,000 in good condition. You figure it will take approximately $15,000 in repairs to get it to market condition. You have a rehabber lined up, and you know they’ll pay 65% of the retail value. You decide to sell it to them for $65,000, making $10,000 as your assignment fee. 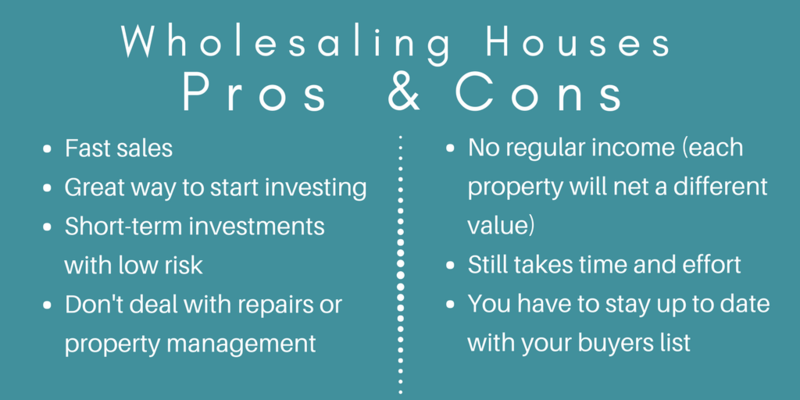 Alright, now that we’ve gone over the strategies for wholesaling properties, let’s talk about the pros and cons so that you can decide if it’s the right fit for your real estate investing business. On the whole (get it) wholesaling houses is a very popular type of real estate investing because it’s such a quick and low risk investment. While wholesaling sounds awesome – and for most investors it is – there are cons as well. Is Wholesaling Houses Right for You? After taking in all of this information, what do you think: is wholesaling houses right for you and your business? There’s definitely a lot to consider when you’re building your real estate investing business. One of the most appealing aspects of wholesaling is how low risk the investments are, and how quickly you can turn a profit on a property. There’s none of the time spent in repairing the house and waiting for it to sell on the market like house flippers do, and there’s no long-term maintenance and management of the property that renters have to deal with. Is wholesaling houses right for you? Let us know in the comments!